Want to serve up some fresh zucchini and yellow summer squash? Do it with this simple, refreshing lemon recipe! 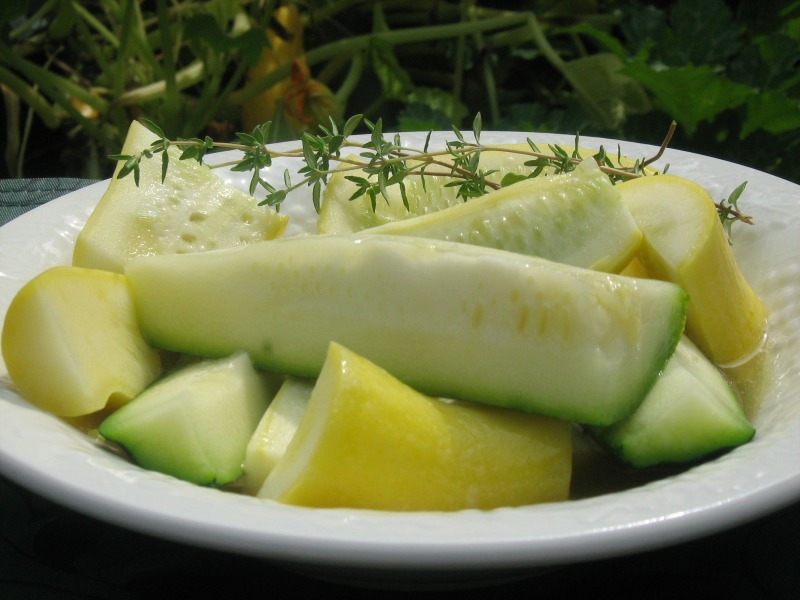 Lemon zucchini and summer squash - what better way to enjoy the best that summer has to offer. Whether you grow your own or buy local, fresh zucchini and yellow summer squash are terrific together. Sure you can grill them, fry them, bake them - but how about a simple, tasty, lemon dressing over steamed zucchini and summer squash! This recipe makes for a great side dish or a light lunch entree. Steaming them with the peels on keeps them nice and crisp yet tender enough to enjoy. The light dressing is lemony but not too tart, sweetened a bit with honey, maple syrup or agave - your choice. So give the lemon zucchini and summer squash recipe a go next weekend - what do you say? Quarter or slice the zucchini and squash. lemon juice, honey and butter to a boil. Transfer zucchini and squash to a serving dish. toss to coat. Serve warm. honey and Earth Balance for the butter.